Every word he said is true, and you know it is too. 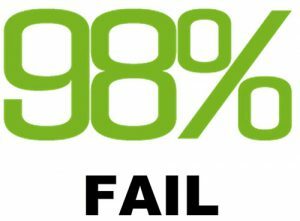 That’s why so many consultants fail. When they sit down with a client, the client can sense if you believe what you are saying. And in a lot of cases, the consultant lacks confidence because they don’t believe, deep down, in what they are selling. It might be subtle, or the consultant might be fooling themselves, but trust me, people know when you have their best interest at heart, and are totally sold on what you are doing. Failure is just a way to get rid of the people who don’t belong there. The people who want it bad enough will overcome any failure. I know that’s harsh, but I’m one of those people who believes in guides, consultants, coaches and mentors. But you have to be all in. You have to be sold yourself before you can sell something to someone else. Look, it’s not the end of the world if the thing you are doing is not working. You do have to ask yourself why, however, because most of the time what isn’t working is because of YOU. Once you realize that, you basically have two choices. Move on to something you can go all in on. 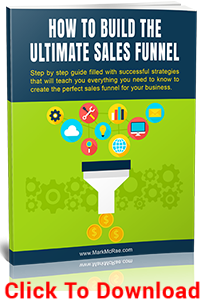 Discover the Top Secret Formula you can use to create the Ultimate Sales Funnel for your business. Download my latest FREE report and discover this simple system you can use to start converting leads into customers. CLICK HERE to Download.